Our building models allow children to discover eco-friendly technologies. In the experiments, young researchers learn how producing energy from renewable sources works and how to use energy most effectively. The models enable them to learn how to protect their house from loss of heat and how to generate electricity from sunlight and wind. GEOlino Power House provides a comprehensive overview of the different forms of alternative energy and clearly shows how to protect the environment and how to save energy using models. 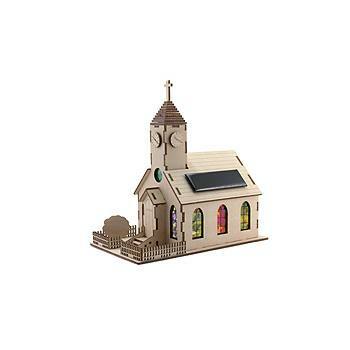 In addition to the house model, the instruction booklet provides other educational experiments on the topic of environmental protection through energy conservation.